Our goal is to connect people with the best local experts. We scored roofers on more than 25 variables across five categories, and analysed the results to give you a hand-picked list of the best roofers in Tampa, FL. Acoma Roofing is a family-owned company that has been serving the Tampa Bay area since 1952. They handle residential and commercial roofing and specialize in metal roof, tile roof, and shingle repair, as well as shingle, metal, tile, flat and low slope reroofing, gutters, skylight installation, roof cleaning, and roof inspection. Acoma Roofing is a member of the FRSA, USAAB, BNI Referral Master's Chapter, and has also been certified through No Roof Left Behind, The Tile Roofing Institute. Acoma Roofing has been awarded the Super Service Award through Angie's List, and has been recognized as a 'Steep Slope' winner through GAF President's Club. Affordable Roofing Systems serves Clearwater, St. Petersburg, Tampa, Brandon, and Largo, Florida. They specialize in all areas of residential and commercial roofing installation as well as roof repair. Affordable Roofing Systems employs certified GAF "Master Elite" Roofing Contractors, Tamko Pro Installers, as well as Drexel and Gerard certified metal roofing contractors. Arry's Roofing Services has been serving the Tampa, Florida area for over 25 years. They specialize in residential and commercial roofing with a focus on shingle, metal, tile, and flat or low slope roofs. Arry's also offers roofing repairs including, but not limited to roof leak detection, roof maintenance, and roof cleaning. Arry's Roofing has been accredited by the BBB and has received numerous accolades over their 25 year career. Buddy's Roofing and Repair is a Dover, Florida contractor that serves residential and commercial clients. They can install, inspect, or repair any type of tile, shingle, or metal roof. They also specialize in skylight installation. Buddy's Roofing is a member of the NRCA. CB Roofing Construction has locations in Valrico, Florida and Lenoir City, Tennessee and has over 25 years of experience in the roofing industry. They specialize in residential and commercial roofing, as well as gutter installation. 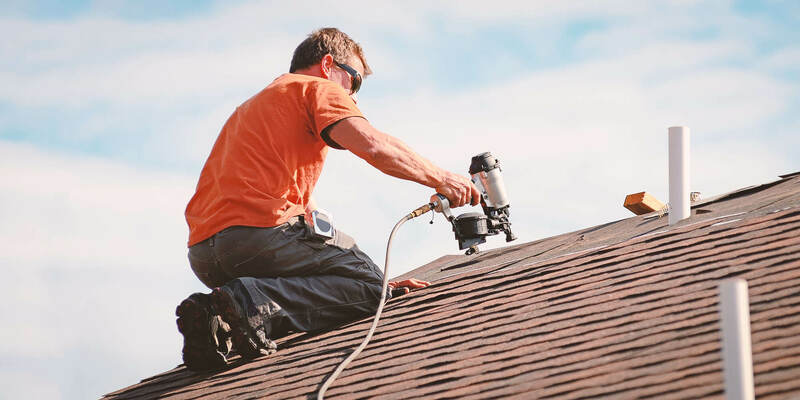 Clearwater Best Roofing Contractors specialize in residential and commercial roofing, roofing repair and maintenance, attic ventilation, and hurricane recovery. Clearwater Best Roofing serves Clearwater, Florida and it's surrounding areas. Code Engineered Systems is a state certified contractor providing the Tampa, Florida area with residential and commercial roofing services. They work with all materials, including shingles, tiles, metal, and flat gravel roofs. Their experienced, expert roofers handle every job from a single shingle repair on a house roof to a large commercial installation. Dockside Roofing serves the entire Tampa Bay area, including Hillsborough, Pinellas, and Pasco Counties. They specialize in sealing systems for flat roofs, but are experts in shingle, metal, and tile roofing, too. Dockside Roofing is a member of FSRA, TBBA, and TRI. Done Rite Roofing is a roofing contracting company that serves the Tampa Bay area. They specialize in commercial and residential roofing and offer shingle roofing, tile roofing, roof repair, roof cleaning, roof leak detection, roof leak repair, and roof maintenance. Done Rite Roofing has been recognized by Owens Corning as Platinum Preferred Contractor. Dunn Contracting serves the entire Pinellas County region. With nearly 20 years of certified roofing experience, Dunn Contracting specializes in residential roofing, shingles, torch roofs, self-adhering roofs, secondary water barriers, modified bitumen, flat roofing, step roofs, and roof repairs. Dunn Contracting has been reviewed by the BBB. Dynamic Roofing Concepts has been serving Tampa, Brandon, Odessa, Clearwater, Valrico, and Riverview, Florida for over 40 years. They provide residential and commercial roofing, roof repair, and roof maintenance, and specialize in replacing roofs after storm damage. Dynamic Roofing Concepts has been accredited by the BBB and has received numerous awards over the course of their career. Fortress Roofing is a family-owned, state-certified, roofing company that serves Largo, Pinellas Park, St. Petersburg, Seminole, Tampa, and the surrounding areas. They handle residential and commercial jobs and specialize in shingle roofing, tile roofing, metal roofing, and flat roofing. Fortress Roofing is a GAF ELK certified Weather Stopper Roofing Contractor, and has been recognized as an accredited business by the BBB. Gold Seal Roofing is a Tampa, Florida roofing company that specializes in residential (GAF Steep Slope, GAF Low Slope) and commercial (Hydrostop) roofing. Gold Seal Roofing is GAF Certified and is a member of the West Coast Roofing Contractor's Association as well as the Florida State Roofers Association. Jacobs' Roofing specializes in residential roofing and serves the entire Brandon and Tampa, Florida area. They also strip and haul away old roofing, re-nail decking, install felt, ridge vents, and ice and water shields, install fungus resistant shingles, haul away all roofing material, and guarantee entire jobsite cleanup. No. 1 Home Roofing is a family-owned and operated roofing company serving Belleair, Clearwater, Dunedin, Indian Rocks, Land O'Lakes, Largo, Odessa, Oldsmar, Palm Harbor, Safety Harbor, Seminole, St. Pete Beach, Tampa, Tarpon Springs, and Trinity Florida. No. 1 Home Roofing provides residential and commercial roofing, shingle installation, emergency roof repair, fascia, flat roof installation, industrial roofing installation, new construction roofing, patch and coat roofing, re-roofing, as well as tile and shingle work. Oakhurst Contractors offers roof replacement, roof repairs, shingle, tile, and flat roof installation, isotapered flat roof installation, vinyl fascia and soffit installation, rotten wood replacement, roof vent and ridge vent installation, skylight and skydome installation, roof inspections, window installation, and flashing installation. Oakhurt Contractor's have been recognized as a 'Preferred Contractor' through Owens Corning, and are certified as a GAF Weather Stopper Contractor. Tri-County Roofing is a Florida-based roofing company and has served the West Coast of Florida for over 15 years. They specialize in GAF, Eagle Roofing Products, and Green roofing. Tri-County Roofing has been certified as a GAF Master Elite Weather Stopper Roofing Contractor and is a member of the Pinellas County Contractor's Association. Tri-County Roofing has a second location serving the Johnson City, Kingsport, and Bristol, Tennessee areas. Sander and Sons Roofing is a Clearwater, Florida roofing contractor that specializes in the residential installation of tile, shingle, and metal roofing. Sander and Sons Roofing has been recognized by Owens Corning, Entegra Roof Tile, Crown, and Eagle Roofing Products. Shingle Masters is a roofing construction company that serves Hillsborough, Pasco, Pinellas, Manatee, and Sarasota, Florida. They specialize in roof replacement, roof repair, soffit and fascia, stucco and siding replacement, and flat roof conversions. Shingle Masters have been awarded numerous accolades through Angie's List and The Best of Brandon, and are also recognized as an accredited business through the BBB. Suncoast Roofing Solutions has over 40 years of experience serving the Tampa, Florida area. They specialize in residential and commercial roofing installation and repair. They are experts with all comon roofing materials including tile, shingle, metal, and slate. Suncoast Roofing Solutions has been recognized as an accredited business through the BBB. Terrance McKeever Roofing Company has been in business since 1978 and serves all of Clearwater, Florida. They specialize in residential and commercial roofing and can deliver most roofing services. Terrance McKeever Roofing is a member of the Suncoast Chapter Community Associations Institute and has been certified as Investment Grade Roofing by MRA. Thunder Bay has been servicing the Tampa Bay area since 1986 and specializes in most aspects of commercial and residential roofing, exterior waterproofing, sheet metal, and spray polyurethane foam. Thunderbay comes highly recommended by their past customers. West Coast Roofing and Contracting serves the Pinellas, Pasco, and Hillsborough Counties, offering craftsmanship and value to residential and commercial roofing customers. They are dedicated to the safety of both customers and employees, so they maintain excellent training on best practices and current building codes. Westfall Roofing is a family run business that was started in 1989. They specialize in residential and commercial roofing, roof repair, gutter installation, and attic insulation. Westfall is certified by manufacturures including Owens Corning and GAF as a preferred contractor and master installer.